I run Ghost 14 in Windows XP SP3. I have two drives that I do not ever want to back up. How can I instruct Ghost to ignore these drives so they won't constantly be listed "At Risk"? Re: Ghost 14: Stop drives from being listed "At Risk." Open the Ghost interface. 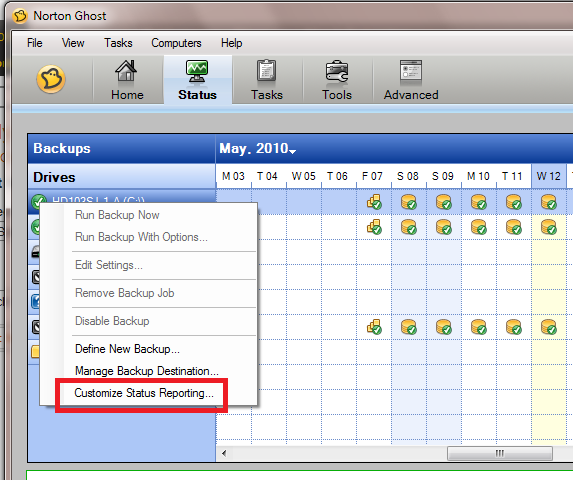 On the Status tab, right click the drive you don't want reported and click "Customize Status Reporting". Now change to "No status reporting".